I would like to better understand this. The morning after Canada went to the polls as the first 1st world country to stage an election in the wake of the global economic meltdown, it's front page news for BBC (today, this article was on the front page of BBC's main website), and almost invisible on most US news outlets. 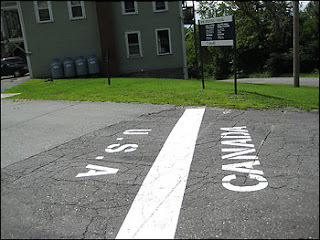 The UK is across the ocean, the US is across the border. What makes front page news over there worth nary a mention on the front page of Fox News, CNN, ABC, CBS and NBC? (on most of these so-called "news" sites, one must dig into their "world" sections to find an article covering the election).